If you're wondering about holiday gifts for gardeners in your life, it helps to think like a gardener. Gardening can be hard work, and anything that makes a garden task easier or more efficient is a great gift. I've been a gardener since I was a kid, a serious gardener since 1985, and a professional gardener and designer since 2000. There are certain tools and references I use almost every day, and I recommend them heartily to clients and beginning gardeners in workshops and at the community garden where I have a plot. They'll make ideal gifts for any gardener. Most of these gifts range in price from $15-$30. Some of the tools I use most frequently are in this range. Others are more expensive, but they're high-quality tools I've used for years, and will use for years to come. The images below link to Amazon for purchasing. The Japanese Planting Adze is one tool I use almost every day, especially when I'm planting. I can plant a row of seedlings in half the time it takes me with a hand trowel, and the ergonomics are a lot easier on the wrist. Simply chop or push the blade into the soil to the desired depth, pull the blade back to open a hole and hold the soil in place, tuck the seedling in, and push the soil back around the roots, either with your hand, or with the blade of the trowel. It's also handy for digging quick, shallow trenches when you're burying irrigation lines. Every professional landscaper I know has a well-worn leather case on their belt, with a pair of Felcos in it. Even guys who are just starting out and don't make much money shell out the extra coin for these pruners. There's a reason pros choose Felcos. Felcos are durable, keep their edge for a long time, and are easy to sharpen and maintain. They're perfect for heading back shrubs and light pruning of branches up to 1/2". They also have a wire cutting notch at the base of the blade. If you have smaller hands, the Felco F-6 Classic Pruner for Smaller Hands is made for you. The Gardena Soft Spray Wand is the best water wand I've used. It has a soft, rain-like spray that's perfect for nurseries, seedbeds, and delicate seedlings, yet still delivers plenty of water to thirsty plants. Most other wands have holes that are too large, so they blast the seedlings and the soil around them. Injured seedlings are more susceptible to damping-off and other diseases. I recommend Gardena Water Wands to all of my clients, and every client that's purchased one is delighted with the product. Not only do they have the softest spray on the market, they're also durable and versatile. The last one I had for 12 years, including 2 years of abuse in the Student Garden at Stanford University. Gardena wands use a snap connector system, which allows you to easily unsnap the wand and plug the hose into a sprinkler or power washer nozzle. If you're planning to use multiple nozzles or sprinklers on the same hose, or you want to be able to unsnap the wand and use it in the front yard, you might want to order an additional set of Gardena quick connectors . For some tips on making your water wand last for years, see the best water wand. 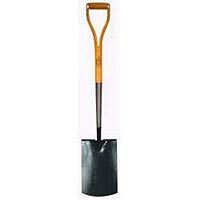 At $81, this is one of the pricier holiday gifts for gardeners on the list, but for serious gardeners, an English Garden Spade is a necessity. It allows you cut in around the edges of raised beds or berms and open the soil for cultivation. The heavy blade has a flattened tread at the top, allowing you use your foot to push into even dense clay soils. The sturdy D-grip handle gives you leverage even when the blade is driven deep into the soil. These fine spades will last for decades, if cared for properly. I learned the hard way not to leave it out in the weather through the rainy season. Rain seeped into where the handle joins the blade, causing the wood to eventually rot and the handle to break the following season. I replaced the handle 12 years ago, and have kept the spade stored dry ever since. Today it's as strong as it was when I replaced it. Don't let the title fool you–the Sunset Western Garden Book , known affectionately as "The Bible" among western gardeners–is the best all-around garden reference I've ever seen, but it's not just for western gardeners. Not only does it have an extensive plant encyclopedia featuring thousands of plants that are used all across the country, it also has color plates with lists of plants for challenging garden situations like shade, desert areas, marshy areas, windy places, coastal areas, around swimming pools, where deer dine, and container gardening. Each entry in the plant encyclopedia has information on the temperature range suitable for the plant, watering regime, soil preferences, and pests and diseases, then it lists varieties commonly available with final plant size and any other pertinent information. As if this weren't enough, the Practical Guide to Gardening at the end has some of the most concise, clear instructions I've seen on a wide range of topics, from planting shrubs and bulbs to composting, beneficial insects, pest control, pruning, and plant propogation. Even though I've been gardening for over 30 years, I keep a copy in my truck and turn to it whenever I have a question about a particular plant or variety. Rosalind Creasy's Edible Landscaping is the book that turned me from a dabbler into a serious gardener. When I first moved to California, I was amazed at how much water went into landscaping around houses. Northern California has a Mediterranean climate, and gets no rain from May through October, so people need to irrigate. It made no sense to me to spend so much money and effort on landscaping for appearance only. The first edition of Edible Landscaping opened my eyes to the beauty and all the possibilities of edible plants. Fruits and vegetables don't have to be confined to a back yard garden, they can be a beautiful part of any landscape. You can get something for your water. Rosalind Creasy spent many years travelling in Europe, where edible plants are intermingled with ornamental plants, and extend the range of colors and shapes available to landscape designers. She brings a designer's eye to the vegetable garden, and this new edition, unlike the first edition, is loaded with color photos. Her edible plant encyclopedia describes multiple landscaping uses for edibles, and has valuable information on effort scale, soil needs, water needs, pests and diseases, as well as lists of varieties and their characteristics that you won't find in any other book. The Hydrofarm Germination Station is a great holiday gift for gardeners, especially in the dead of winter. 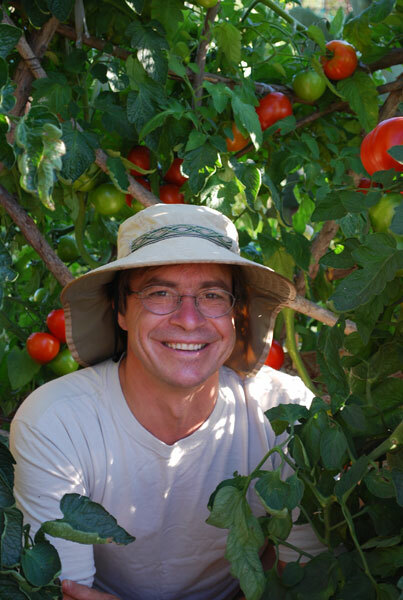 It gets them thinking about green and growing things when the snow is blowing outside, and allows serious gardeners to get a jump on the growing season. It consists of a standard flat with a clear humidity dome, and a heat mat. I had been starting seedlings for several years, but I always had problems getting peppers and eggplants to germinate. They took a long time to sprout, and when they did, germination was uneven and spread over a couple weeks. Then a friend who was moving gave me his Hydrofarm Germination Station. The first time I used the Hydrofarm, pepper and eggplant seedlings germinated in a little over a week, instead of 2 weeks, and the seedlings popped all at once. They were also healthier and stronger as a result of the heat. For information starting your own seedlings, see Starting Tomatoes from Seed. Why a worm bin? The Worm Factory 360 offers a way to convert kitchen scraps and shredded paper into worm castings and "worm tea", two of the most valuable fertilizers available to organic gardeners. I started worm composting when I had to move from the country to an apartment in the city. I had been composting for years and knew the value of the "black gold" that came out of my compost pile. I hated throwing kitchen scraps away, so I bought a worm factory and started vermicomposting. Even if the gardener in your life has a compost pile, a worm bin adds another dimension to gardening. The last chamber of the worm gut is loaded with beneficial bacteria and fungi, and the castings are inoculated with these microbes as they pass through. I use diluted "worm tea"–the liquid that runs through the worm bin–on my houseplants and seedlings, and I use worm castings (with live worms) in potting soils, salad table trays, and container vegetables. The worms help cycle organic nutrients in containers, and the beneficial fungi increase the water-retaining capacity of potting soils. I also drop a small amount of worm castings into the planting hole under each seedling when I plant. The castings are the perfect mild fertilizer for seedlings, and the beneficial bacteria and fungi in them boost plant immunity at a time when seedlings are vulnerable to diseases. They're also very good placed into the trench around leeks. See Setting up a Worm Composting System for information on setting up and troubleshooting your worm bin. For years I used one of those foam knee pads for kneeling on the ground and planting, or sat on an inverted bucket when planting in raised beds. This Garden Kneeler and Seat combines the two, and folds to make it more compact. It has 2 foam pads, one on the top, and one on the bottom, so you can kneel on it, use it as a low seat, or turn it and use it as a high seat when planting raised beds. It helps prevent knee and back strain or injuries, and is something every gardener will appreciate. I've always worn a hat when I was out in the sun all day, but even using sunscreen, my neck would start itching from sun exposure by July, and keep itching until October. Then I bought a light-weight, breathable Sun Hat with a Neck Shade . I had avoided them because I didn't like their look, but now I don't go anywhere without it.